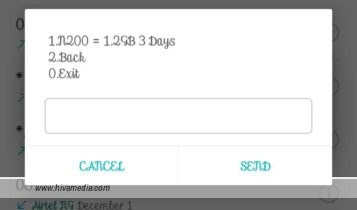 This is just a reminder even though you have different options of data plans you are currently enjoying this festive period, ranging from Airtel insta download bundle, MTN 1.2GB for N500 and 9mobile 1GB for N200. The good news is that you can accumulate Glo 1.2GB for N200; meaning you’ll get 6.2GB for N1000. The more you accumulate the more your data expiry date extends. This particular offer is far better than glo OgaSim bonus offer. We don’t know how long this special data plan will last but for now, you can keep enjoying it. If Glo network is poor in your location, kindly try other cheap data offer up there with good network reception. Ntel: Those of you still using ntel, it seems the telecom company is having a global issue, hence I’ll advice if you can’t subscribe for your ntel wawu package, kindly rock this Glo special data plan until when your network issue will be resolve. New users on ntel network will no longer be able to enjoy the wawu bonus offer, it is now exclusive to old users.